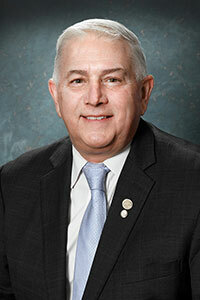 LANSING, Mich. — State Sen. Ken Horn participated in a graduation ceremony for last summer’s Henry Toll Fellowship Program at The Council of State Governments (CSG) annual conference at the end of December. The program’s sessions are designed to stimulate personal assessment and growth, with a focus on leadership skills and how personal traits can be used toward being an effective legislator. Sessions also include media training, crisis management, appreciative inquiry and adaptive leadership. The list of Toll Fellows alumni is long and distinguished; and Horn says he considers it to be quite an honor to be included. Fellowship alumni include numerous governors, secretaries of state, chief justices and members of Congress. During the conference, Horn was also formally installed as the new second vice chair of CSG’s Midwestern Legislative Conference (MLC). MLC is a nonpartisan association of state and provincial legislators that fosters regional cooperation, information sharing and leadership development. Horn is expected to serve as the MLC’s second vice chair throughout 2018 and is in line to serve as MLC chair in 2020, when the group will hold its annual meeting in Detroit. 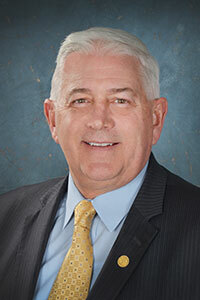 In addition, Horn currently serves as co-chair of the MLC’s Economic Development Committee and is a graduate of the group’s Bowhay Institute for Legislative Leadership Development. All legislators from the following states are members of the Midwestern Legislative Conference (MLC): Illinois, Indiana, Iowa, Kansas, Michigan, Minnesota, Nebraska, North Dakota, Ohio, South Dakota and Wisconsin. In addition, legislators representing four Canadian provinces — Alberta, Manitoba, Ontario and Saskatchewan — also participate as affiliate members of the MLC.